Colour Munshaw 35mm slide depicts four Shriners in uniform marching with flags. 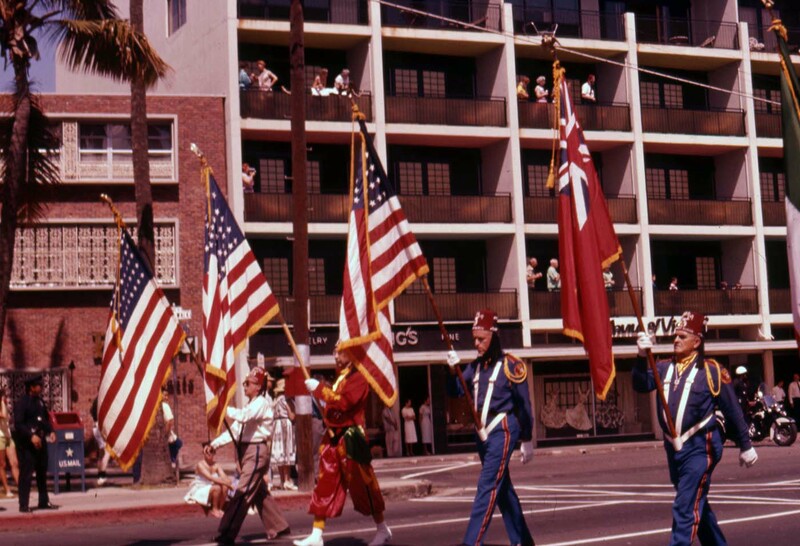 Three have American flags and one is carrying a British Red Ensign flag. Note: colour adjusted on the jpg.